This Healthy Cinnamon Roll Almond Butter is incredibly rich, buttery, and sweet, but without the butter, sugar, and artificial ingredients. It’s creamy and 100% spreadable, perfect on toast, swirled into oatmeal, and even spooned over ice cream! Like Cinnamon Rolls? Then you’ll LOVE this Cinnamon Roll Almond Butter! All the flavor of Cinnamon Rolls in a decadent, sweet spread. Absolute perfection. 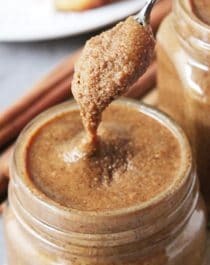 This Healthy Cinnamon Roll Almond Butter has got all the flavor of cinnamon rolls but in a decadent, sweet, spreadable form! Perfect on toast AND a spoon. Sprinkle the sliced almonds onto a large baking sheet and spread it out evenly. Bake for ~10 minutes, or until fragrant and until the almonds get a nice toasty color (keep watch on them -- they can go from perfectly toasted to burnt and useless in less than a minute!). Let cool completely. In a high-speed blender or food processor (I used my Vitamix), add the sliced almonds and coconut oil. 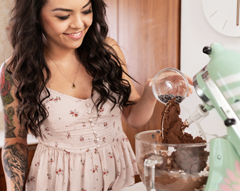 Blend until smooth and creamy (~5-7 minutes), scraping down the sides of the blender when needed. 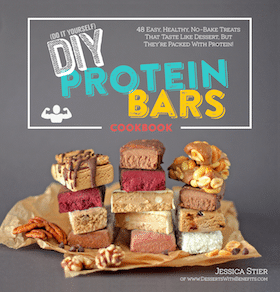 Blend in the cinnamon, molasses, butter flavor, vanilla paste, stevia extract, and salt. Blend until completely smooth. Scoop into serving jars and seal tightly. Store in a cool, dark place for a few weeks, or you can refrigerate to extend its shelf life. **I haven't tried it, but I'm sure vanilla extract would work just fine instead if you don't have vanilla paste! Some other nuts that could work in this recipe in place of the almonds include walnuts, pecans, hazelnuts, and cashews! This… THIS almond butter though, I mean, WOW. It’s amazing. Dare I say… it’s better than peanut butter. eating nut butter is part of my daily routine.. i usually have peanut or cashew in the morning. 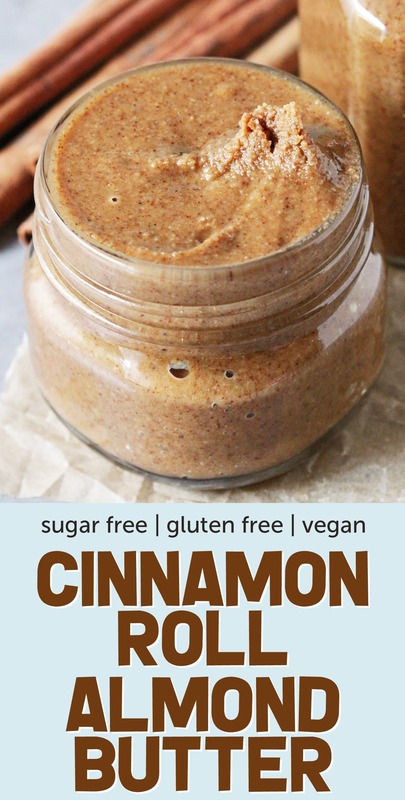 definitely need to try this cinnamon almond butter recipe, i can imagine how good it tastes! And yes, you need to try this recipe!! It’s just toooo good. Oh my gosh! This is genius! 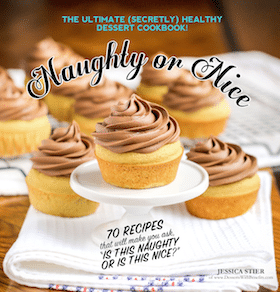 I thought your butterscotch PB was delicious… i bet this is even better! I love making my own nut butters, and this one looks so great! I’m definitely going to have to make it! What can you use instead of the natural butter flavor?